CLIMB HIGH. FLY HIGHER. 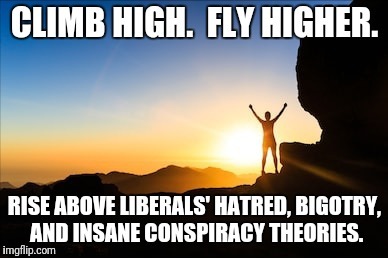 RISE ABOVE LIBERALS' HATRED, BIGOTRY, AND INSANE CONSPIRACY THEORIES.